The Cubs Scout uniform is a dark green sweatshirt, worn with either black or navy trousers. Uniform can be purchased from the District Scout Shop at The Ron Hobbs Hall, Bligh Close, Tilgate. Click here for more details from the Crawley District website. These should be sewn onto the sweatshirt as shown below. 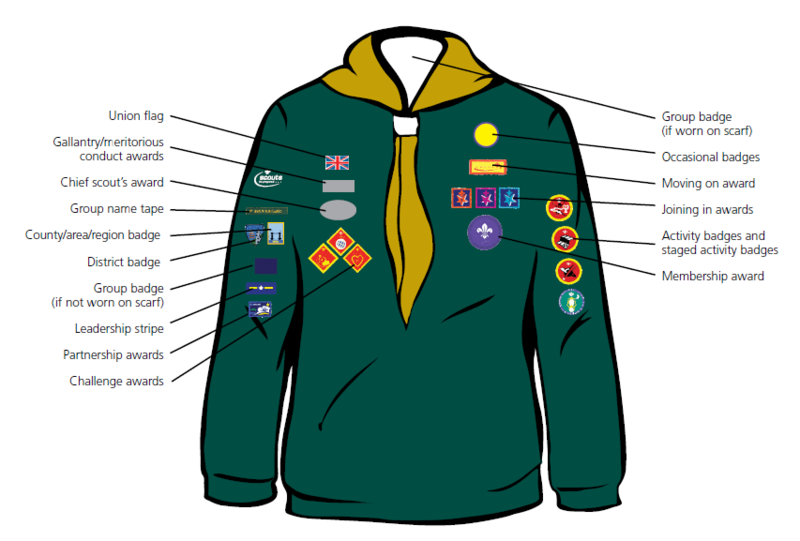 Cubs will also be presented with the group necker (Green and Yellow) which includes the group badge.